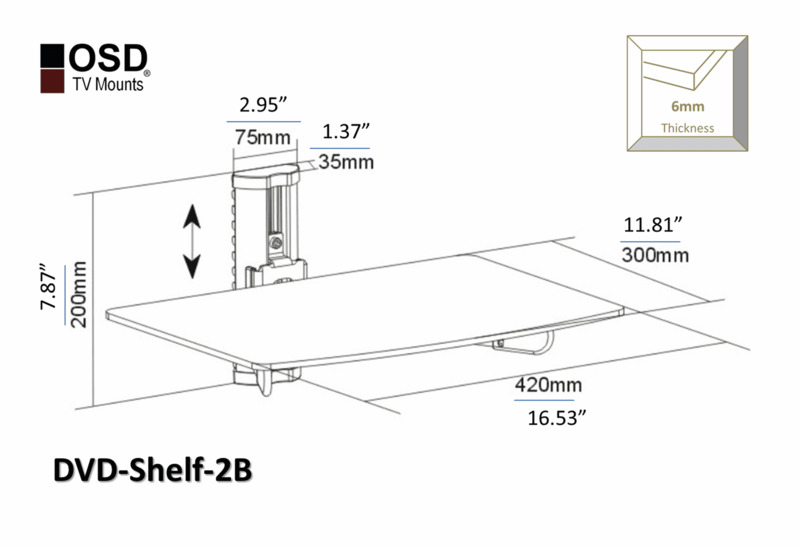 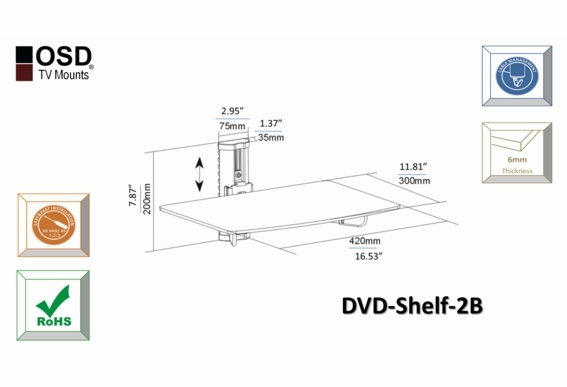 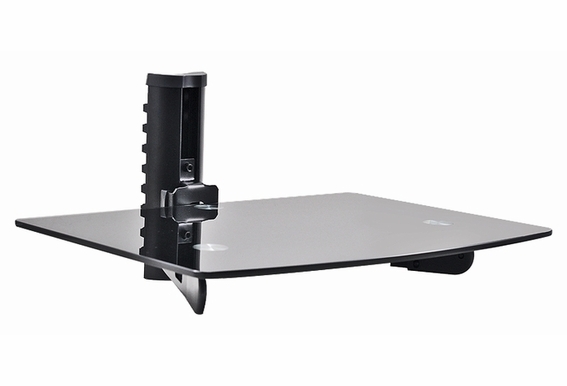 A well designed shelf can make DVD players or set-top boxes blend elegantly into a room. 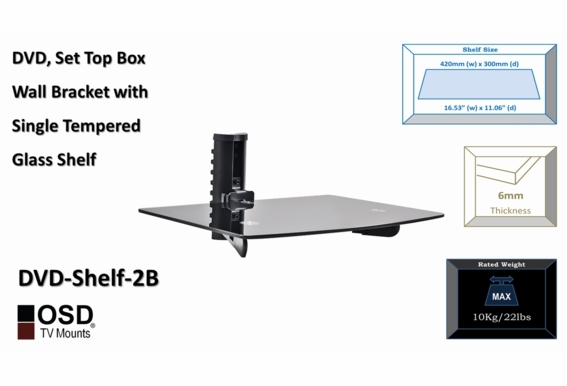 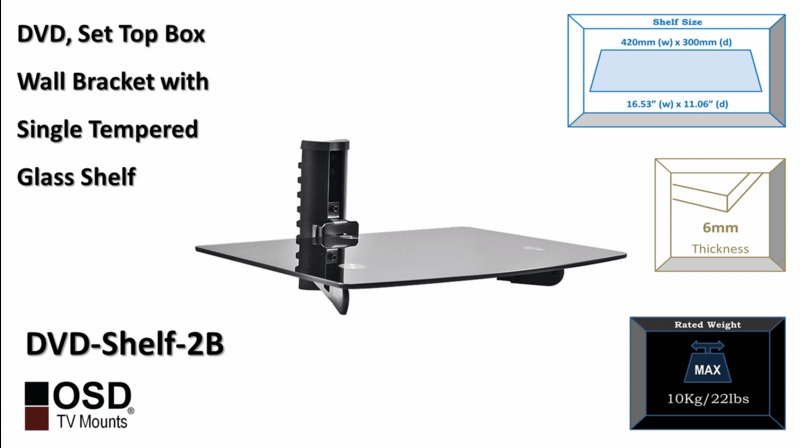 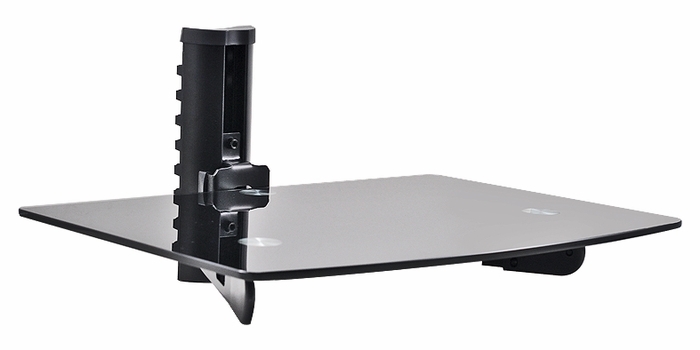 This glass shelf is designed to support one DVD player up to 22 pounds, although you could also use it to hold a CD player or set-top box. 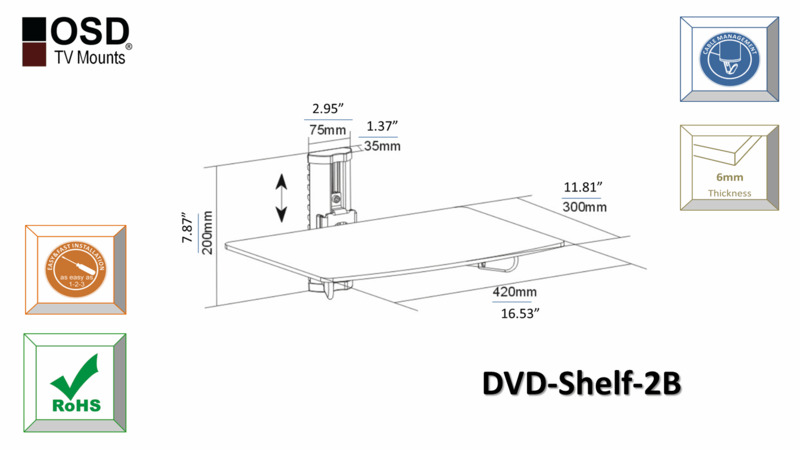 Glass size: 15.7" x 11.8"
Is there an area for the wires to go through so they do not show from the tv to the DVD shelf?